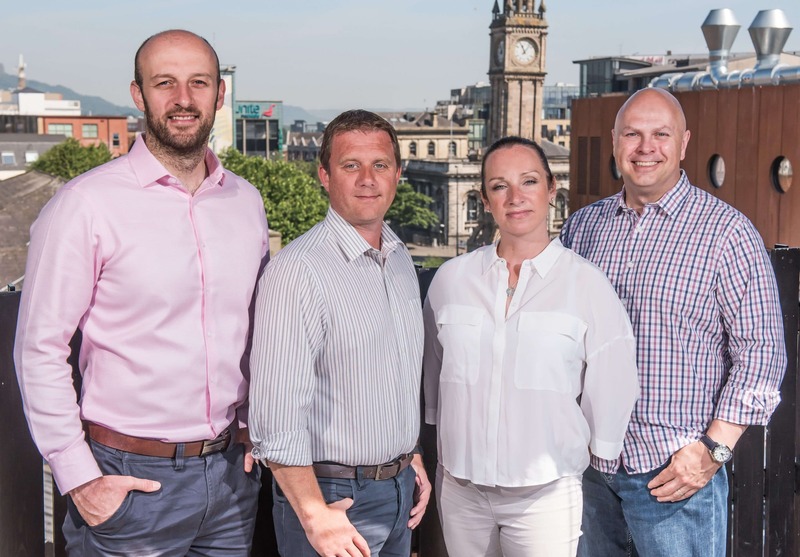 CAPTION: Launching this year’s Big Data Belfast conference and announcing SmashFly Technologies as headline sponsor are, from left: Analytics Engines CTO Dr Alastair McKinley, SmashFly Site Lead Gareth McCullough, Analytics Engines CEO Dr Aislinn Rice, and SmashFly CEO Thom Kenney. Big Data Belfast returns with a world-leading lineup of speakers delivering real-world insights into new technologies, ideas, and tools from right across the sector. The one-day conference, which takes place at Belfast Waterfront on Thursday 18 October 2018, will explore trends and opportunities emerging in Healthcare, Smart Cities & IoT, Fintech, Artificial Intelligence and Machine Learning, Cyber Security and Business Analytics. Speakers include world-renowned professional hacker and founder of WhiteHat Security and current CEO of BitDiscovery Jeremiah Grossman, Lead Data Scientist at Liverpool Football Club, William Spearman, and Programme Director from the Alan Turing Institute, Mark Briers. Also speaking will be Thom Kenney, CEO of recruitment marketing software solutions SmashFly which recently announced a major investment in Belfast creating 70 new jobs. Big Data Belfast is proud to be partnered with Headline Sponsor SmashFly Technologies; Strategic Partners Citi and Allstate; and Industry Partners MSC Group.